Solid Waste Authority Palm Beach County refreshes core apps with Zeuron Systems Inc. The Solid Waste Authority (SWA) of Palm Beach County is adding a new waste-to-energy facility—the first of its kind to be built in the United States in more than 15 years. Irving, Texas – June 26, 2015 — The Solid Waste Authority of Palm Beach County (SWA) has awarded the modernization of its core application systems to Zeuron – a leading professional services specialist in the development and round-the-clock support of Genero applications. SWA is committed to technology excellence and we needed to demonstrate we were up to the challenge. Its given my team a chance to show who they are and what they can really do. SWA’s mission is to manage the materials discarded by the residents and businesses of Palm Beach County, in a manner consistent with its legislative mandate. Its award-winning integrated facilities combines recycling, renewable energy, and landfilling to effectively manage the county’s waste. The system includes 2 waste-to-energy facilities, 1 landfill, 1 materials recycling facility, 1 biosolids pelletization facility, 7 household hazardous waste collection facilities, and a network of 6 transfer stations. The applications developed by SWA are designed to integrate solid waste transportation, processing, recycling, resource recovery, and disposal technologies. The system helps the state of Florida achieve its 75% recycling and waste reduction goal. Zeuron’s primary mandate is to refresh core applications with a revitalized user experience and implement new features that will tighten integration between systems. 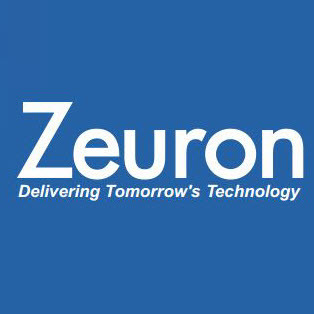 Zeuron were selected for their development, support and training expertise in Genero and IBM Informix technologies. With approximately 400 employees, the SWA provides solid waste disposal and recycling services and programs to the County’s 1.4 million residents and businesses.